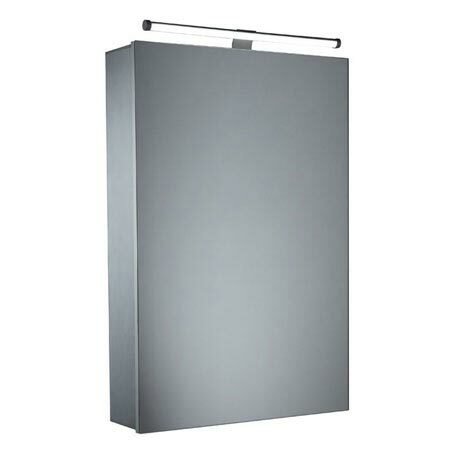 The Conduct single door mirror cabinet features an overhead LED light that creates a bright illumination and is operated by a rocker switch. Manufactured from high grade aluminium, the cabinet features a soft closing double sided mirror door and two adjustable shelves that allow practical storage of toiletries. All Tavistock mirror cabinets are IP44 rated and are compliant with electrical equipment safety regulations.